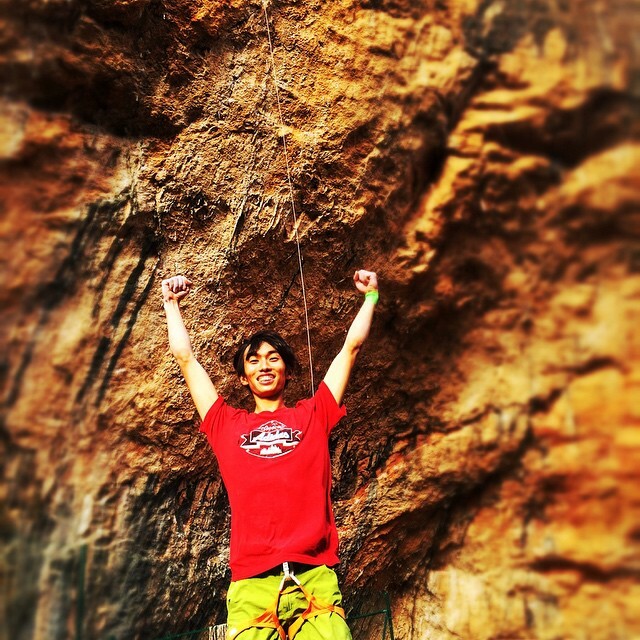 World Cup champion Sachi Amma looks to be in top form of late, sending multiple routes 5.14d and harder in Spain. In Santa Linya Amma repeated Seleccio natural left exit (5.14d), and then he moved over to Oliana where he made repeats of Joe-cita (5.14d) and Chris Sharma’s 5.15b Fight Or Flight. Sharma first did Fight Or Flight in May of 20111, and it was first repeated by Adam Ondra in 2013 and then most recently by Jakob Schubert on the last day of 2014. Hopefully Ramonet joins the 9b club next. Accidentally read the title as “ASHIMA repeats Fight or Flight (5.15b)” and almost had a heart attack.